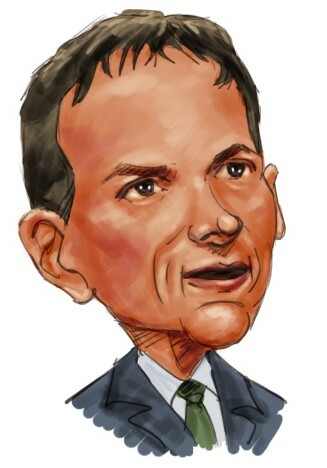 One of the ways of following David Einhorn’s performance is through the disclosures made by Greenlight Capital Re (GLRE). Greenlight Re posted on its website that it lost 0.8% in February and 1.4% through the end of February. However, this doesn’t mean that Einhorn’s flagship fund lost 1.4% so far in 2011. Insider Monkey, your source for free insider trading data, compared GLRE’s investment returns and Einhorn’s performance. In 2010, Einhorn’s flagship fund returned 15.9% but GLRE’s investment returns were only 11%. In 2009, Einhorn returned around close to 37%, but GLRE’s investments gained 32.1%. In 2008, GLRE lost 17.6% and Einhorn‘s flagship fund lost more than 20%. Greenlight Capital Re probably keeps a certain percentage of its funds in cash or low-risk debt instruments. As a result, GLRE underperforms Einhorn in good years and outperforms in bad years. Since this years performance is a loss of 1.4% for GLRE, this implies that David Einhorn’s flagship fund potentially lost around 2% through February. At the end of December, Greenlight’s largest long positions were Arkema, Ensco, gold, Pfizer, and Vodafone Group. At the end of February GLRE reported that the largest disclosed long positions in the investment portfolio were Cardinal Health, Carefusion, Ensco, gold, Pfizer and Vodafone Group. Arkema lost around 2% through February, whereas Carefusion gained around 9%. Einhorn had $344 Million of Carefusion at the end of 2010. The Arkema position was at least $406 Million. This means either Einhorn reduced his Arkema holdings or added more Carefusion shares.